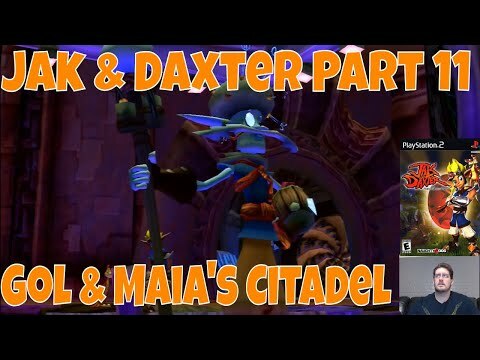 We finally got around to playing Jak and Daxter. 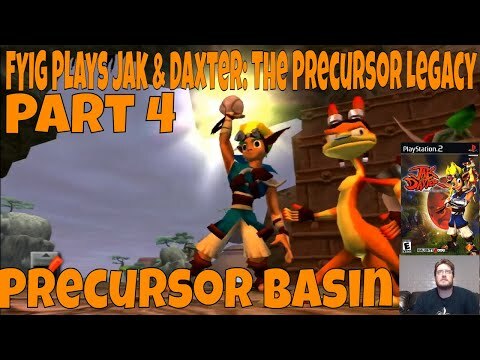 Find out what we thought in our Jak and Daxter: The Precursor Legacy Review! Jak and Daxter: The Precursor Legacy has always been an interesting game to me, but I never really got around to playing it until just recently. It wasn’t that I didn’t like the concept or thought it wasn’t worth it. Heck, I even rented Jak II in 2005 and really enjoyed that game. So now I’m finally gearing up to play one of Naughty Dog’s most beloved series and I must say, it’s a game that has aged quite well in a time when a lot of games from the PS2 era are starting to show their age. The game world in Jak and Daxter looks so colourful and vibrant and really showed off what the PlayStation 2 was capable of when this game was released in 2001. The art style works really well and mixes a cartoony feel with realistic settings. The attention to detail through every little thing is really something to behold for something that was released 18 years ago. The palm trees are luscious, birds scatter into the air on the beach, water shoots up from geysers, snakes swing down from trees in the jungle, Precursor Orbs have a metallic shine; there are just so many little details that would get lost to an untrained eye. The lighting even changes in a realistic way as the time of day progresses. It was pretty monumental stuff back then and it continues to look great now. The game world is, of course, just one aspect of the graphics. The characters are a completely separate part and they might even exceed the quality of the world around them. Jak and Daxter move fluidly throughout the world and I never encountered a single animation that seemed out of place or cut off. A lot of games from this era had issues with voice-acting matching the facial animations of the characters, but this game really seemed to nail that and it was almost like watching an animated movie with the real-time cutscenes being so spot on. The sound design in Jak and Daxter really pulls everything together with the background music conveying the mood for each area that you visit perfectly. The voice actors deliver their lines in a very believable fashion and I was really impressed by the fact that it can rival some of the games of today quite well. I really liked the fact that there were a lot of random background noises to make the world feel lively with things like splashing waves, chirping birds, and lava spurting really making you feel the wonder and danger of the world around you. It created such a great atmosphere that wasn’t so easy to create in the PS2 era. Jak and Daxter pulls a lot of elements from some of the more successful platforming franchises like Banjo Kazooie and Naughty Dog’s own Crash Bandicoot series. Jak has a spin move just like Crash did which is more of a nod to their previous series than anything. I really don’t see a lot of comparisons between the two. It’s a similar game to most other platformers of the time in that you’re collecting Power Cells and Precursor Orbs. I think what sets it apart is that this is set in a fully 3D world and it was one of the first games to really nail this type of gameplay style in this vast open world. The camera is fantastic in Jak and Daxter allowing you to rotate the stick on the DualShock 2 to look around. This is a big deal in a platforming game and after replaying the first Kingdom Hearts, I appreciate it that much more. Jak has a few different moves available to him including a spin move, a double spin, a charge attack, a double jump, a powerful punch, and even an uppercut. Everything is fluid and you can pull off one move into another with a lot of ease. There was never a moment where I felt too frustrated with how Jak controlled that wasn’t something I was screwing up myself. The really cool thing that Jak and Daxter really seemed to pioneer was not having to re-do a bunch of tasks in an area if you’ve already completed some of that task. For example, if you collect 99 out of 100 orbs and then go off to another level, you only need to collect the one orb, you don’t need to do it over again. It sounds like something so obvious, but this was not commonplace in other games in the genre at the time (and even today). Everything you do and every task you complete changes the game world for your entire playthrough rather than just until you complete a level (except for enemies, they obviously come back). There are even actual storyline reasons for why you need to collect the Orbs and Power Cells unlike collectibles in most other games at the time. It was a huge quality of life improvement in the platforming genre. The thing that was really astounding to me was the fact that you don’t face loading times when moving from area to area. Naughty Dog seemed to achieve this by creating speed tunnel portions of levels where you had to drive a hoverbike through to the next area. It was an interesting way to get around load times and it provided for a bit of a change of pace from the regular platforming action. It was just really cool to see the whole world all linked together in such creative ways to mask loading into different areas and creating a seamless user experience. The only things I didn’t really like about Jak and Daxter were that I didn’t feel that there was a large variety of bosses and I felt that their patterns were much too easy. Almost any gamer would beat them in their first couple tries. Still, that’s a small negative on an otherwise fantastic experience that still holds up today. 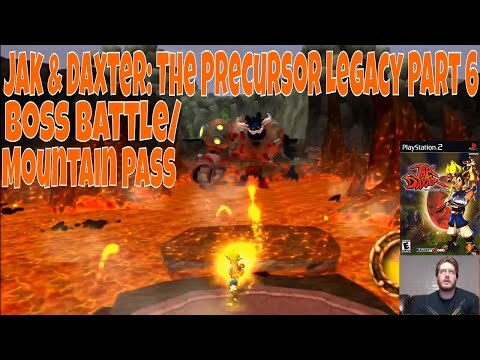 Jak and Daxter: The Precursor Legacy was an important game in the platforming genre and really started a revolution with games like Ratchet and Clank, Sly Cooper, and many more during the PS2 era. It's a fun game with a great cast of characters with visuals that still hold up today and a game that is available on PS2, PS3, PS4, and PS Vita. If you haven't played this one yet, go out and grab it on your platform of preference, it's definitely worth a playthrough!